Start learning in an effective way! 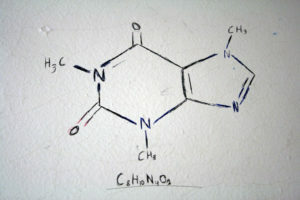 Organic Chemistry makes up a significant portion of the MCAT. 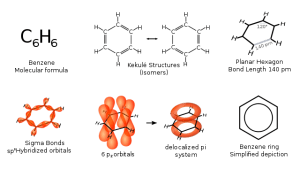 A comprehensive review of the concepts behind Organic Chemistry is a necessary part of the MCAT review process. Who better to review Organic Chemistry with than an expert? Dr. Adam Le Gresley, Associate Professor in the Pharmacy and Chemistry Department at Kingston University, London, is an expert in the field of Organic Chemistry. Through high-yield lectures, Dr. Le Gresley will review the key concepts of Organic Chemistry to expand and sharpen your knowledge base. 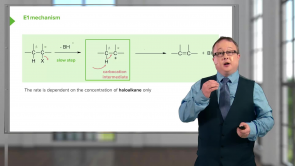 Learn about addition reactions, oxidation, nomenclature and amide formation through high quality video lectures, supported by a myriad of high-yield, interactive quizzes, topic reviews, clinical pearls and mnemonics. The goal of the lectures is to go beyond memorizing facts. Dr. Le Gresley's high-yield lectures will provide you with a deep understanding of Organic Chemistry. With Lecturio studying has never been so easy. We will support your learning progress with high-yield and high-quality video lectures. You will be provided with downloadable material and quiz questions to track your progress. Hydrocarbons are simplest organic compounds derived from fatty acids. They contain bond between carbon and hydrogen in linear, branched or cyclin pattern. Substitution of a functional group at one or more positions in a chemical reaction result in the formation of hydrocarbons. Alkanes are saturated hydrocarbons that share single bond between carbon atoms with formula CnH2n+2. Alkenes are unsaturated hydrocarbons that share at least one double bond with formula CnH2n. These molecules are found in living organisms both prokaryotes and eukaryotes. Hydrocarbons are compounds that are composed of carbon and hydrogen atoms only. Hydrocarbons can be considered as aliphatic or aromatic. Much focus is given in this article to aromatic compounds. Aromatic compounds, in general, are compounds that exhibit aromaticity, or the property in which a conjugated ring of an unsaturated bond, lone pairs, or empty orbitals exhibit a stabilization stronger than stabilization brought about by ordinary conjugation. In this article, the different properties of an aromatic compound are discussed, as well as their different applications. Focus is also given to benzene, C6H5. Unlike in ordinary alkenes, where addition reaction occurs, reactions of aromatic compounds involve electrophilic aromatic substitution (EAS). Alcohols are functional groups that are characterized by one or more –OH groups attached to a carbon of hydrocarbon chain. They are organic derivatives of water where hydrogen ion is replaced by an alkyl group. They don’t leave their molecular structure by their own. They have high boiling points. They are polar in nature with asymmetrical distribution of charge between oxygen and hydrogen atoms. 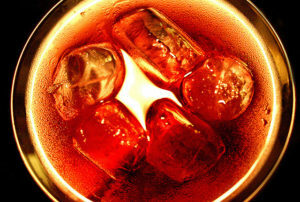 At room temperature, alcohol are colorless liquids or solids. Ethanol and methanol are common types. They are used in beverages, antifreeze, fuels, and preservatives and for sterilization. 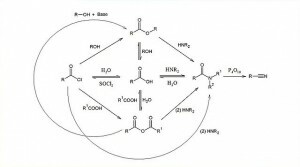 Selected reactions of alcohol will also be discussed; namely synthesis of haloalkanes from alcohols, acid-catalyzed dehydration, esterification reactions and redox reactions involving alcohols. Did not like the sequence of the power points, too confusing. GREAT LECTURES! SIMPLE AND TO THE POINT! The lectures are really good and to the point! I like how they aren't too long (otherwise i wouldn't take anything in after 15mins tbh) They are short and very easy to grasp the concept! Great way of showing information , thanks for your amazing efforts.